Disclaimer: I was recently sent a pair of XX2i USA1 Sunglasses to review as part of being a BibRave Pro. Learn more about becoming a BibRave Pro (ambassador) and check out BibRave.com to review find and write race reviews! Your first thought clicking on this blog post is why would Jen be writing about sunglasses as winter approaches? I don’t need sunglasses on cold, grey days. 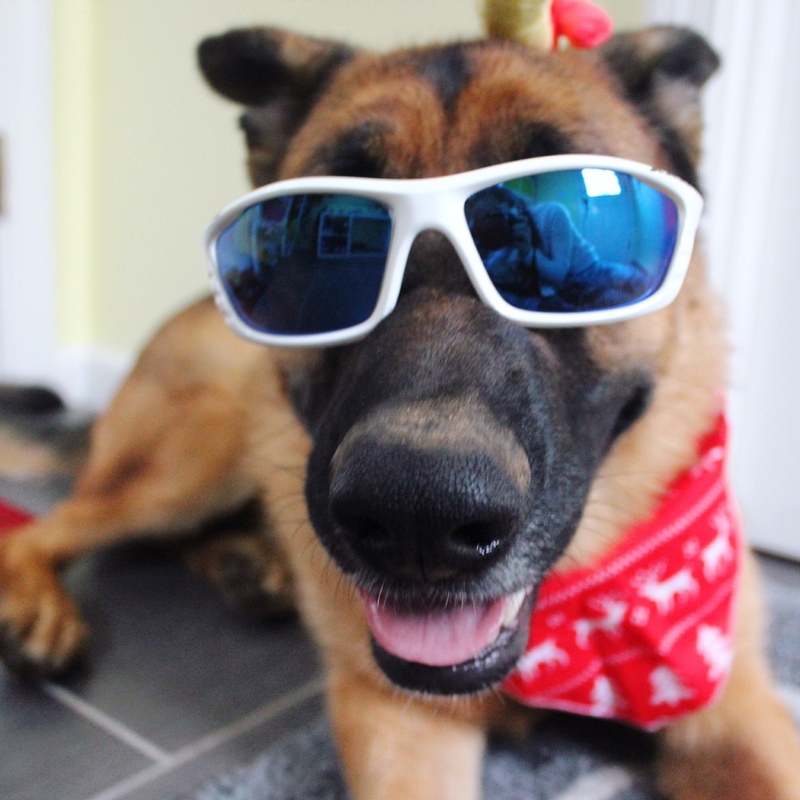 It is just as important to wear a good pair of sunglasses in the winter. Not only are the reflections off of snow, ice and water super strong in the winter, sunglasses also serve to protect your eyes against wind, dust and dirt. And did you know that squinting actually causes you to expend more energy? Who wants to waste energy by squinting? UV rays from the sun can cause cancers, cataracts (effecting the eyes ability to focus), and macular degeneration (damage to the retina). It is unknown how much UV rays it takes to cause damage to your vision but the more exposed you are to it over time, the greater your risk of developing these problems later in life. I used to buy the cheapest sunglasses I could find for running—who cares about UV rays, polarized vs. non-polarized, or even what they really look like. As long as they fit my face and didn’t bounce around while I was running, I bought the cheap ones thinking I would break them soon anyways. But to be honest with you, I don’t think I’ve ever broken a pair of sunglasses?! Actually I lied. I did break one pair—a $5 pair from Walmart fell out of my locker at work and cracked. Oops. So what should you look for when choosing a good pair of sunglasses? If a pair of sunglasses is uncomfortable, they will sit in the case on my shelf and I won’t wear them. That pretty much sums up my whole style philosophy—shoes, socks, clothes, hats, etc. Comfort over anything else. But for real, if a pair of sunglasses are too tight and giving me a headache or too loose and bouncing around or even just sits funny behind my ears or on my nose, I won’t wear them! So fit kind of goes along with comfort. How do they fit? Are they adjustable? Do they feel heavy on your face? Are they too small and pressing against your face? Are they big enough to act as a shield to light and debris? For outdoor activities, I like a pair that wraps around my face and big enough to trace my eyebrow lines. There is nothing worse then a foggy pair of sunglasses! After the Falmouth Road Race this year, I swore I would never wear sunglasses in a race again. BUT I was just reading about the XX2i USA1 Sunglasses and did you know they have a venting system (aka holes around the lenses) to keep the lenses from fogging? So cool! I can’t wait to see how that works. Do your sunglasses protect against ultraviolet light rays? Look for sunglasses that say they block 100% against UVA and UVB. Polarized lenses are great for reducing glare. They also make it difficult to look at your iPhone screen! It’s personal preference. Just make sure they block against UV! Of course with all the #selfie Instagram pics, Twitter posts & Snapchats, style is important! Sunglasses come in a number of colors and styles from full frame to the sportier half-rim type, so make sure you choose a pair that makes you look good! Sunglasses also come in a variety of price ranges. An expensive pair of sunglasses doesn’t always mean they are better. Do your research. Try on a few pairs. Your fellow runners & specialty running stored can be great resources for brand recommendations. What do YOU look for when picking out new sunglasses? I am currently testing out a pair of XX2i USA1 Sunglasses. Stayed tuned for a full review coming soon. But in the meantime, check out the XX2i Optics website and use the discount code XX2iRocks for 50% off your order! That’s HUGE! Don't miss out!